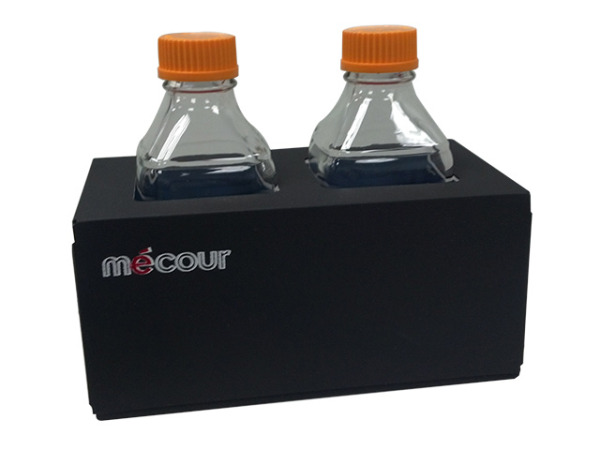 Thermal block accommodates two 1 liter square bottles. 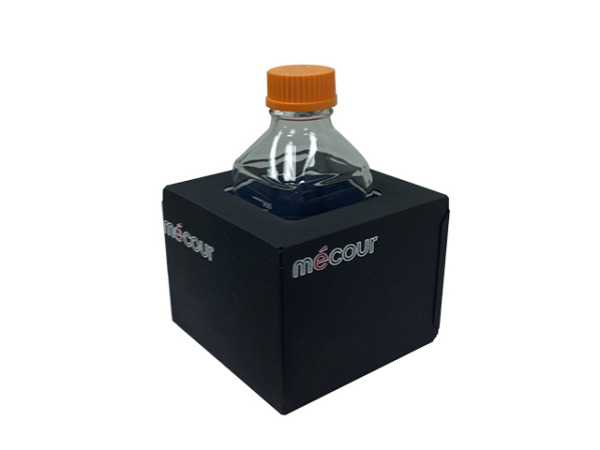 All MeCour thermal blocks that accommodate bottles design the thermal well to cover the maximum sample volume in bottle for maximum heat transfer. 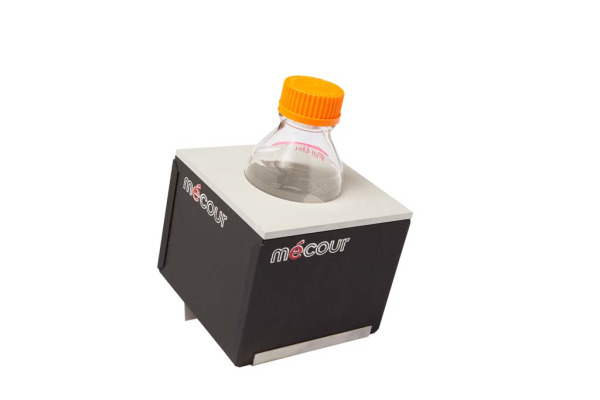 Purpose for designing such thermal blocks is to provide uniform temperature to reagents and media as well as to the plates that such media is transferred to. 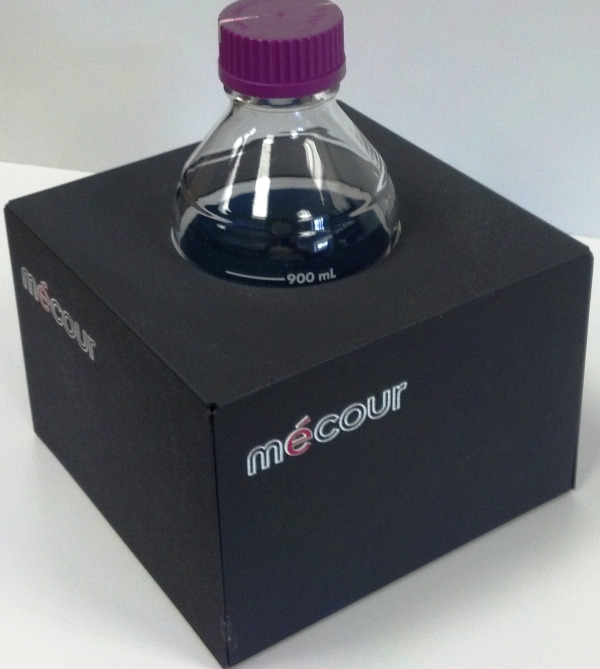 Capture the valuable dead low volumes via placement of any MeCour Thermal Block on a base angle platform.